The World Health Organization (WHO) defines overweight and obesity as an abnormal or excessive fat accumulation that may impair health. Based on the Body Mass Index (BMI), people with a BMI of greater than or equal to 25 are classified as overweight and those greater than or equal to 30 as obese. According to data from the WHO, worldwide obesity has nearly doubled since 1980. Obesity is a leading risk for global deaths. Approximately 3.4 million adults die every year due to it while 44% suffer from diabetes, 23% from ischemic heart disease burden and between 7 to 41% of certain cancers, all attributable to obesity and overweight. 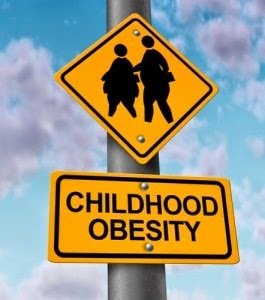 As of 2012, more than 40 million children under the age of 5 were overweight or obese. Approximately 16 to 33% children and adolescents in the US are obese. Childhood obesity is often related to poor eating habits, overeating or binging, lack of exercise, family history of obesity, medical illnesses, certain medications, stress, family and peer problems, low self-esteem and depression. Obesity is a cause for concern because in a large number of cases, obesity results in further complications such as heart disease, high blood pressure, diabetes, breathing problems and sleep problems. While all primary causes of obesity should be explored in-depth, an important reason for this rapid increase in childhood obesity is the fact that our nutritional environment has deteriorated to a large extent. People in general are overwhelmed with nutrient poor and high calorie foods. Most of these food items are easily accessible and are much cheaper than other healthier alternatives. According to Brownell & Horgen, "our obesogenic environment overwhelms people with nutrient-poor, calorie-dense foods, which are more accessible and less expensive than healthier, nutrient-dense choices, such as fruits and vegetables." Marketing and advertising has been a major contributor in facilitating this bombardment. A large number of food-related advertisements are targeted toward youth and children. Research shows that nearly $1.79 million was spent by companies in 2009 to promote food directly to children and teenagers. Food advertising toward youth comprises mainly of low nutrient foods such as candy, soda, fast food and sugared cereal. While TV remains the primary medium for such advertising, there are now several other mediums which are easily accessible. These include Internet, radio, video games, cell phones, social media and word of mouth. According to Manhattan Physical Exams Center (2012), an average child views 12.8 food advertisements per day. That translates into 4700 ads a year. This is only on television. Cartoon characters such as Dora the Explorer, Disney Princesses, SpongeBob etc. are commonly used for in-store packaging and promotion of food products. Fast-food restaurants are one of the biggest promoters of food that is poor in nutrition. McDonalds has thirteen different websites that exclusively target children and promote their Happy Meal. Fast food restaurants spent $393 million in 2009 on premiums including toys in kids' meals. They spent another $149 million to promote their products in schools. Companies like Krispy Kreme promote their donuts through fundraising campaigns. They sell their products on school grounds and even reward teachers with free or discounted products that comprise of pizza or candy. These rewards are then forwarded to children for good performance. Food advertising and marketing not only undermines parents' efforts to promote healthy eating habits in their children but also creates a misperception in the children's' minds when it comes to nutrition. Studies have already proven that the greater the exposure to televised food advertising, the greater is the likelihood that unhealthy food items begin to be judged as healthy and nutritious.